UMOD has launched a new advert, promoting the “Kidz Bop 2018” album, that will be released on November 10, 2017. 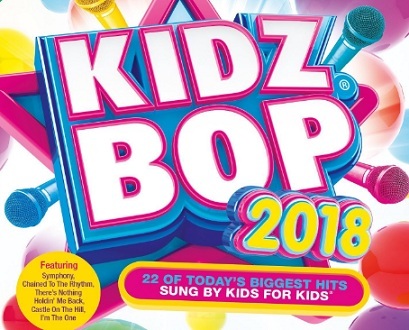 This is the second album featuring the British KIDZ BOP Kids and includes family-friendly versions of today’s biggest pop hits, like “We Don’t Talk Anymore”, “Something Just Like This”, “Chained to the Rhythm”, “Castle On The Hill”, and many more. “Kidz Bop returns with a brand new album. 22 of the biggest pop hits that your kids can sing along to. Songs by kids for kids. Kidz Bop 2018 – The brand new album”, the voiceover says in the 30-second spot.